More than 58 million American adults had at least one malware infection that affected their home PC's performance last year. The cost of repairing the damage from those infections was nearly $4 billion. These findings are from the latest Consumer Reports' Annual State of the Net Report published in the June issue of their respected magazine. The magazine is trusted by millions of US consumers to give honest appraisals of products. "Our Annual State of the Net Report revealed that home computers are no safer than they were last year. Effective security software, like the ones we recommend in our latest Ratings, is essential to protect against online threats," said Jeff Fox , Technology Editor, Consumer Reports. Consumer Reports' latest Ratings of Security Software revealed that some free products are sufficient for most users, offering very good protection from online threats. 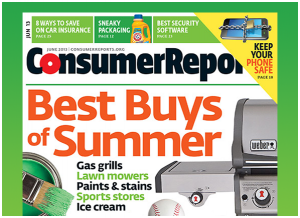 The full report is in the June 2013 issue of Consumer Reports and online at ConsumerReports.org. This press release gives you the highlights.